Pleven (Bulgarian: Плевен [ˈplɛvɛn]) is the seventh most populous city in Bulgaria. Located in the northern part of the country, it is the administrative centre of Pleven Province, as well as of the subordinate Pleven municipality. 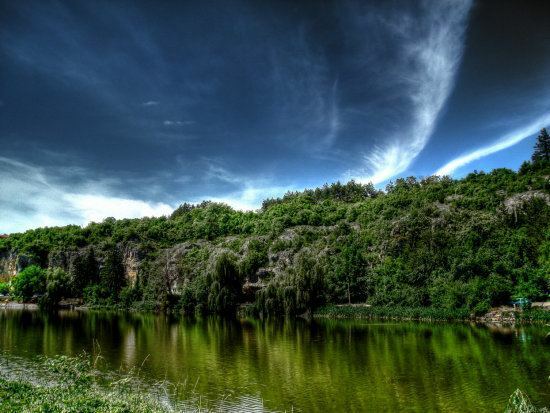 It is the biggest economic center in Northwestern Bulgaria. At the end of 2015 its population is 99 628. The name comes from the Slavic word "plevnya" ("barn") or from "plevel", meaning "weed", which share the same root + the Slavic suffix or ending -en. 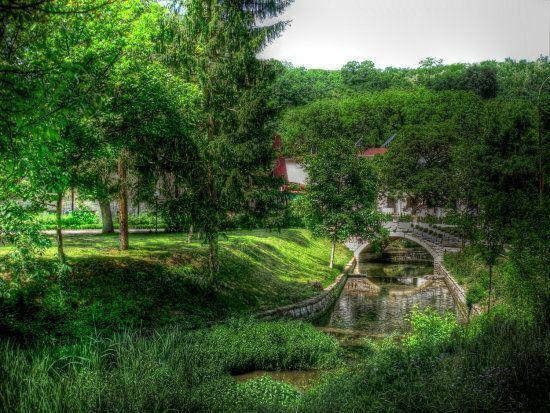 Pleven is located in an agricultural region in the very heart of the Danubian Plain, the historical region of Moesia, surrounded by low limestone hills, the Pleven Heights. The city's central location in Northern Bulgaria defines its importance as a big administrative, economic, political, cultural and transport centre. Pleven is located 170 kilometres (106 miles) away from the capital city of Sofia, 320 km (199 miles) west of the Bulgarian Black Sea Coast and 50 km (31 miles) south of the Danube. Pleven's climate is temperate continental. Winters are cold with much snow, sometimes temperatures fall below −20 °C (−4 °F). Springs are warm with temperatures around 20 °C (68 °F). Summers are very hot and temperatures can exceed 38–40 °C (100–104 °F). The average annual temperature is around 13 °C (55.4 °F). The earliest traces of human settlement in the area date from the 5th millennium BC, the Neolithic. Numerous archaeological findings, among them the Nikolaevo treasure found in Bulgaria, evidence for the rich culture of the Thracians, who inhabited the area for thousands of years. In the beginning of the new era, the region became part of the Roman province of Moesia, and a road station called Storgosia arose near present-day Pleven on the road from Oescus (near modern Gigen) to Philippopolis (now Plovdiv). It later evolved into a fortress. One of the most valued archaeological monuments in Bulgaria from the period is the Early Christian basilica from the fourth century discovered near the modern city. During the Middle Ages, Pleven was a well-developed stronghold of the First and the Second Bulgarian Empire. When Slavs populated the region, they gave the settlement its contemporary name Pleven, it was first mentioned in a charter by Hungarian king Stephen V in 1270 in connection to a military campaign in the Bulgarian lands. During the Ottoman rule, Pleven, known as Plevne in Ottoman Turkish, preserved its Bulgarian appearance and culture. Many churches, schools and bridges were built at the time of the Bulgarian National Revival. In 1825, the first secular school in the town was opened, followed by the first girls' school in Bulgaria in 1840, as well as the first boys' school a year later. Pleven was the place where the Bulgarian national hero Vasil Levski established the first revolutionary committee in 1869, part of his national revolutionary network. The city (then mostly known as Plevna outside Bulgaria) was a major battle scene during the Russo-Turkish War of 1877–1878 that Russian Tsar Alexander II held for the purpose of the liberation of Bulgaria. The joint Russian and Romanian army paid dearly for the victory, but it paved the path to the defeat of the Ottoman Empire in this war, the restoration of Bulgaria as a state and the independence of Romania from the Ottoman Empire. It cost the Russians and Romanians 5 months and 38,000 casualties to take the town after four assaults, in what was one of the decisive battles of the war. The siege is remembered as a landmark victory of the Romanian War of Independence, as on 28 November 1877 the Plevna citadel capitulated, and Osman Pasha surrendered the city, the garrison and his sword to the Romanian Colonel Mihail Cerchez. On the other hand, the Siege of Plevna stands out among other countless sieges and military actions in the region because of its significance. Without this fortress slowing the Russian onslaught, which gave the Great Powers time to intercede, Constantinople would have been repossessed by a Christian army once more. According to census 2011, Pleven has a population of 106,954 inhabitants as of February 2011. The ethnic breakdown is 97% Bulgarians among others. The number of the residents of the city reached its peak in the period 1988-1991 when exceeded 135,000. The following table presents the change of the population after 1887. In Pleven Municipality 112,414 declared as Bulgarians, 4626 as Gypsies, 3204 as Turks and 10,384 did not declare their ethnic group. An overwhelming majority of 90% of Pleven's residents are Eastern Orthodox Christian. The Diocese of Nikopol, of which Pleven is part, is one of the two Roman Catholic dioceses in Bulgaria, and another 5% of the residents are Roman Catholic by faith, a significant number compared to other Bulgarian cities. A major centre of oil processing, metalworking, machinery construction, of light and food industries in Socialist times. However, the late 1990s and early 2000s saw a revival of light industry and the development of branches such as knitwear and store clothes production. Tourism, which had attracted many people from the Soviet Union prior to 1989, and had experienced a slump in the following years, is on the rise again. In 2006, unemployment was 12.7%. The most important economic sectors in Pleven are chemical, textiles and foodstuffs industries, the manufacturing of cement and glass, machine building, tailoring, agriculture, retail and services. The city has seen a number of major foreign investments in the late 1990s and early 2000s. Particularly noticeable is the mass construction of hypermarkets, with three Billa, two Kaufland, two Carrefour (in construction- first one to open in MALL PLEVEN in 2011), two penny markets (1 in construction), DM, Plus (in construction), ELEMAG, METRO, two LIDL (in construction) stores, a Praktiker, bauMax and a number of other hypermarkets being opened as of 2006. The Pleven City Center and central mall pleven mall was opened in 2008. The international railway Sofia — Bucharest — Moscow runs through Pleven. The international road E 83 passes just north of the city. 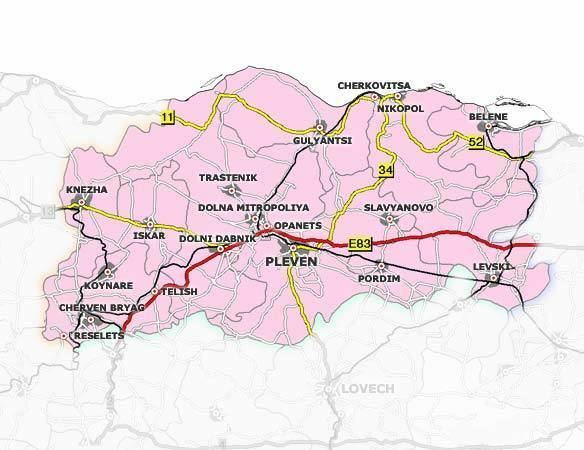 The national A2 Hemus highway Sofia — Varna is projected to pass 16 km (10 mi) south of Pleven. Over 90% of the inner city transportation in Pleven is maintained by trolleybuses. There are 14 trolleybus lines, and 75 km (47 mi) trolleybus network. The trolleybus fleet consist of ZIU-682 (1985–1988) and Skoda 26-TR Solaris trolleybuses, produced in 2014. A project for 12 km (7 mi) trolleybus routes extension is underway. When the extension is completed Pleven will become 100% covered by trolleybus transport. Near Pleven, there is a large facility for medium wave and short wave broadcasting. Pleven medium wave transmitter, working on 594 kHz, uses as antenna two 250 metres (820 feet) tall guyed mast radiators insulated against ground. These masts belong to the tallest structures of Bulgaria. Most of the sights of the town are related to the Russo-Turkish War. The monuments related to the war alone are about 200. Some of the more popular include the St George the Conqueror Chapel Mausoleum in honour of the many Russian and Romanian soldiers who lost their lives during the Siege of Plevna and the ossuary in Skobelev Park. Another popular attraction is Pleven Panorama, created after (and reputedly larger than) the Borodino Panorama in Russia on the occasion of the anniversary of the Siege of Plevna. 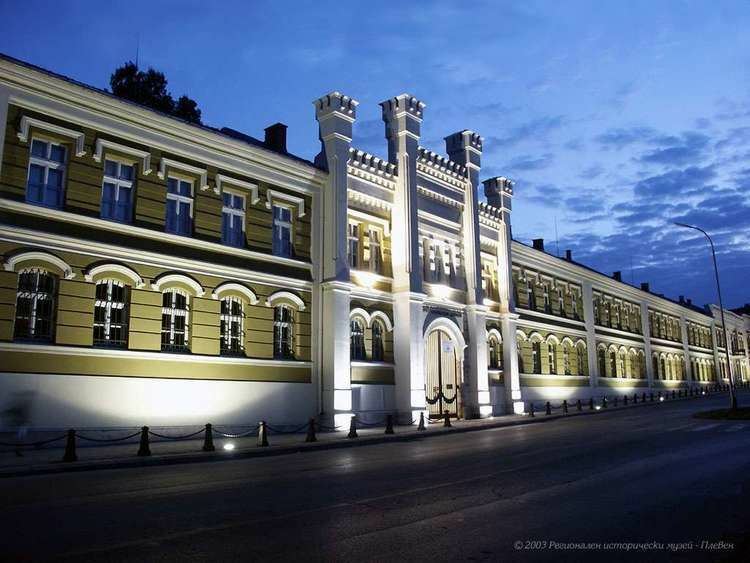 The Pleven Regional Historical Museum is another popular tourist attraction, while the Svetlin Rusev Donative Exhibition, situated in the former public baths, exhibits works by Bulgarian artists, as well as noted Western European art figures. Pleven is often regarded as an important centre of sports in Bulgaria, with many noted Bulgarian sportspeople having been born and/or trained in the town, including Tereza Marinova and Galabin Boevski. 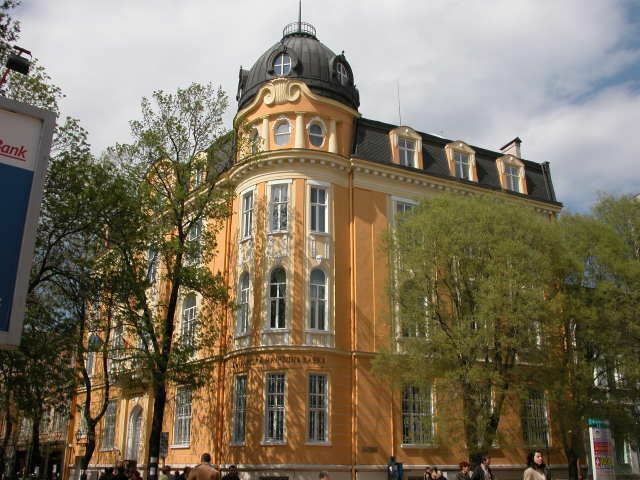 The Reserve Officers' School was located in Pleven from 1961 to its closing on May 28, 2008. A road in Hampton, Middlesex, London is named Plevna, adjoining another called Varna Road both made up of Victorian terraced housing built in the 1870s and named after the battles in Bulgaria of the period. In Romania, more than 10 large cities have a Plevna (Romanian for Pleven) street, as Pleven was the location for an important battle between the Ottoman Empire on a side, and on the other Russian Empire and Romania after which Romania gained independence.